It was another three and a half years after reading that article before I got my first tattoo. It was just after my 21st birthday, and yes, it was Star Wars related, although not as obviously Star Wars as some might expect. I got the abbreviation for straightedge (sXe) across my lower back in the Aurebesh and while getting the tattoo the artist mentioned how he’d love to do a Yoda sometime. Needless to say, a few short months later, I had a beautiful Yoda tattoo on my lower leg as well. And this was just the beginning! Eventually I’d turn that leg into a dedicated Empire Strikes Back calf-sleeve! All of this was in late 1998 and early 1999 so the world was a buzz over Star Wars and the Episode 1 hype machine. 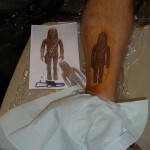 I was writing for the long defunct Wampa’s Hit online fanzine at the time and after seeing several other Star Wars tattoos being posted on Rebelscum.com, I decided there were enough of us out there that we needed a dedicated Star Wars tattoo archive and I took it upon myself to try to put one together. It was small, difficult to update and beholden to the updates of the fanzine – but it was a start and it would serve as a solid foundation for what would eventually become tattoosandtoys.com, which I launched as it’s own dedicated site in April of 2002, just a month before heading to Indianapolis for Celebration II. Armed with a handful of ghetto, do-it-yourself business cards I made to promote the site, I headed to Indy where I managed to meet a tone of great people and garner more support for the site and Star Wars tattoos than I ever thought possible. It was here that I met Dave Gross, who at the time was the Editor-in-Chief of Star Wars Insider magazine, and he suggested I write a new article on Star Wars tattoos for them. My six page feature article, “Tattoo Detoo” debuted in Star Wars Insider #68 in 2003, eight years after Jon Bradley Snyder’s original piece started it all. 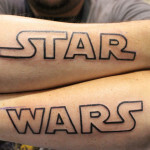 By this point, Star Wars tattoos were clearly making an indelible impression on fandom as a whole! Over the next two years, more magazines and mainstream media outlets started taking notice of the small but ever-growing legion of world-wide tattooed Star Wars fans so it seemed only natural that we have our own official presence somewhere. 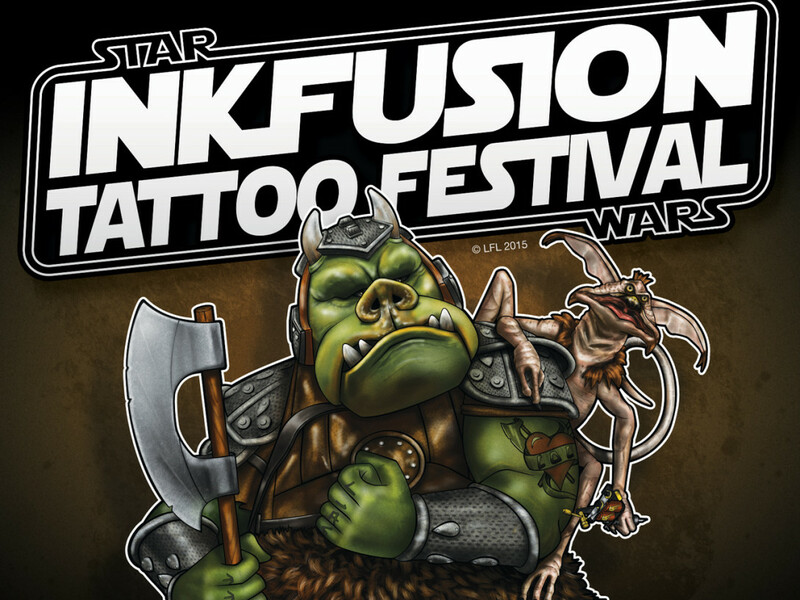 I worked closely with Steve Sansweetri and Mary Franklin of Lucasfilm, who have long supported this sub-culture, to create the first ever officially sanctioned Star Wars tattoo competition and art exhibit at Celebration III, held once again in Indianapolis. 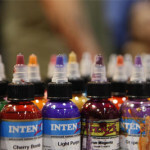 We had a lot of great art on display from tattooers such as Guy Aitchison, Kirk Douglass, Chris Iwaniuk, Rob Meyer, and Ink Fusion creator, Marc Draven and over the course of the weekend had a surprising amount of people sign up to participate in our competition, which was held on the last day of the con. 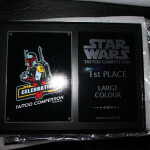 We had four categories – small/medium color, small/medium black and grey, large color and large black and grey (a tradition which continues to this day) – and our contestants paraded in front a panel of special guest judges hoping to win our exclusive Celebration Tattoo Competition awards – which were presented by the one and only Ray Park! 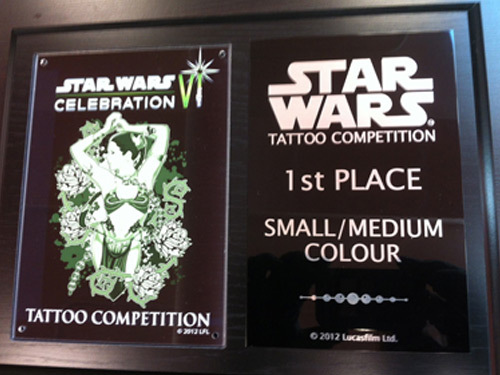 The CIII event was huge for everyone involved, not only in terms of the exhibit and competition, but in showing the world just how popular Star Wars tattoos had become. CIII was also an important event because it was here that we started principal photography for a pipe dream I had – publishing a coffee table book on Star Wars tattoos! 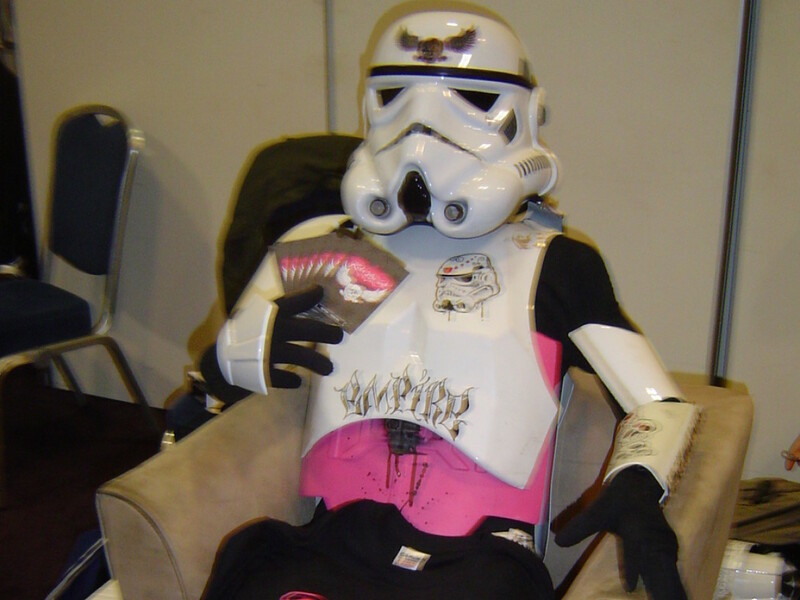 Over the next two years, designer Jeff Correll and I worked on making that coffee table book a reality and in May of 2007, The Force in the Flesh: Star Wars Inspired Body Art was released at Celebration IV in Los Angeles. 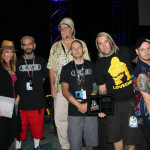 We had an even larger presence at CVI and even had our own exclusive “I <3 My Star Wars Tattoo” t-shirt for sale, which was designed by the amazingly talented Hannah Aitchison who appeared on the first two seasons of LA Ink. The tattoo competition at CIV was much larger than our first at CIII, both in terms of participants and those in the audience, and there were some truly magnificent works of art being shown. 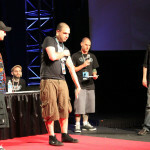 Later that summer, Celebration hopped the pond and held its first ever European event in London, England. This was a tremendous opportunity for many of our European friends who had never been to a stateside Celebration to meet and share off their passion for Star Wars tattoos. Our exhibit was smaller than expected but we had a great time in London and everyone enjoyed attending the competition, which was now a Celebration mainstay, and our panel of judges was blown away by the quality of the art being collected by European fans. Over the next three years, our good friends at Lucasfilm further embraced Star Wars tattoo culture by working with us to create two StarWarsShop exclusive tattoo shirts, designed by prominent tattoo artists/Star Wars fans, Adam Hays and Miles Kanne. Both shirts sold out almost immediately. 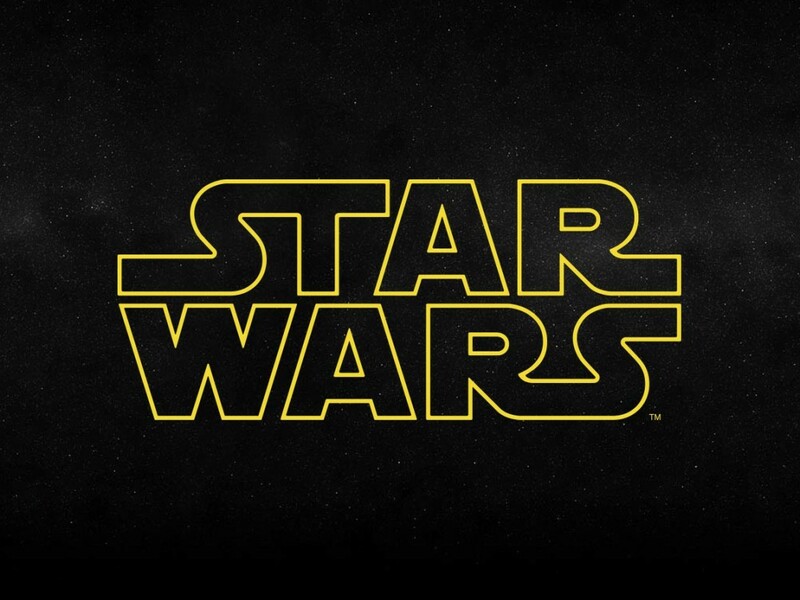 Over this period, more and more tattoo and mainstream publications started featuring Star Wars tattoos and social networking sites such as Facebook had fan pages dedicated to Star Wars tattoos springing up overnight. 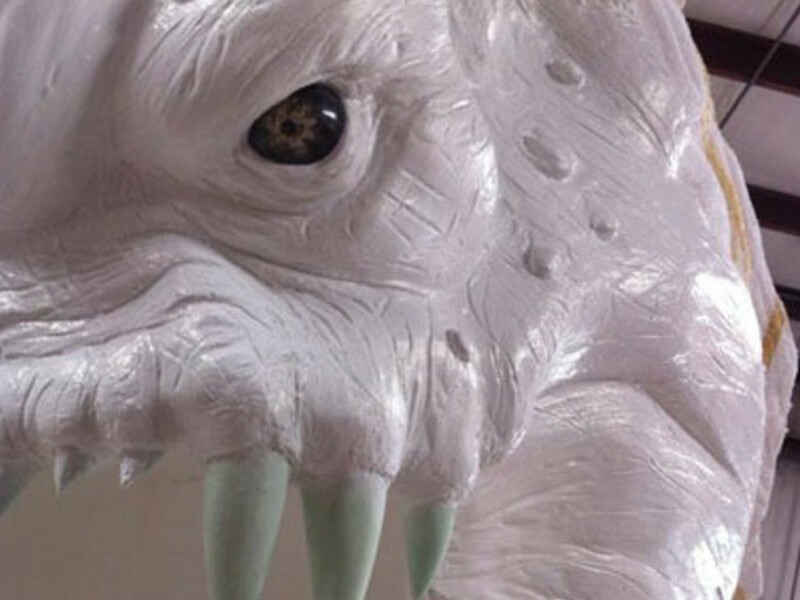 Artists around the world were now finding new and creative ways to combine Star Wars and tattooing – either through their tattoos, original art, sculptures, or by making Star Wars inspired tattoo equipment such as machines and power supplies. 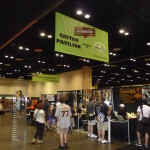 With the announcement of Celebration V happening in 2010, and with three successful tattoo competitions and exhibits under our belt, there was no better time to come up with a plan that upped our game and made our tattoo presence even bigger and better in Orlando. One of the things we heard the most over the years was disappointment from fans that we were never actually tattooing at the conventions. Well, the fans asked for it and we delivered! To help make this a reality for Celebration V, I enlisted the help of tattoo artist and long-time friend, Marc Draven. 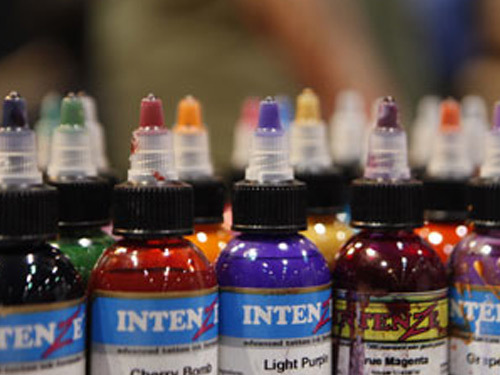 Marc is the owner of Draven’s City Limits, with locations in Tampa and Plant City, Florida, and for several years previous, he had been working hard to build his brand, “Ink Fusion: Where the World’s of Tattooing and Pop Culture Collide”. With Florida being his back yard and his experience in working with large conventions in the state, there was no better person to partner up with. Marc and I brought over 20 artists from across the US, Canada, Mexico and Europe to the show and the response was so phenomenal that virtually every artist was booked solid for the entire weekend! 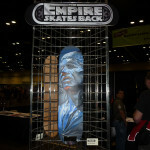 Not only did CV feature all of these great artists tattooing live at the show, but it also featured the Empire Skates Back art exhibit where 30 tattoo artists were each given a blank skateboard deck to paint in celebration of 30 years of The Empire Strikes Back. The decks were auctioned off in conjunction with the 501st Helmet Project to raise money for the Make-A-Wish Foundation. In all, just over $12k was raised by the skateboards alone. Of course no Celebration would be complete without our now famous competitions and with all of the great tattoos being done over the weekend, this time around we featured a brand new category – Tattoo of the Weekend. 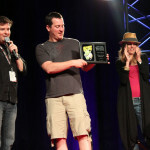 Those attendees who had a killer piece done at the show were now eligible to enter to win an exclusive award of their own! 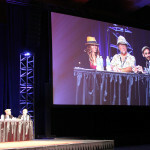 David Collins hosted our event and we had a great panel of judges including the always lovely Amy Allen, Randy Stradley from Dark Horse Comics, London-based tattooer Matt Difa and myself. With each and every Celebration, it gets harder and harder to try to outdo oneself but both Marc Draven and I are confident that this Celebration, we will be bringing you, by far, the biggest and best tattoo experience to date. Our pavilion will feature more, world-renowned artists, more art, an exclusive Celebration VI/Ink Fusion T-shirt, The Force in the Flesh book sales and signings, face painting and temporary tattoos for the kiddies, special guests popping in over the weekend and of course, another incredible tattoo competition happening on the Celebration Digital Stage (Valencia Hall A) on Sunday, August 26th at 11:30. We have some very special guest judges and presenters lined up again this year and know that fans looking for the ultimate Star Wars tattoo experience won’t have to look any further than Celebration VI, August 23-26 in Orlando, Florida! See you there! I would like to take this opportunity to thank all of the volunteers who have worked tirelessly at all of our past Celebration events. You are the backbone of these events and they would not have happened without all of your hard work. I’d also like to thank every one who has supported the website and book over the years. I have made so many wonderful friends the world over through this and I’m incredibly grateful for the opportunities I’ve had. 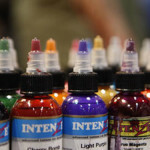 I urge everyone to stay tuned to tattoosandtoys.com because some exciting new changes are coming in the next couple of months! 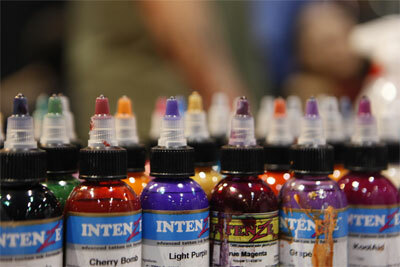 Ink Empire: Tattoos at Star Wars Celebration Anaheim – Preview!